A new borough-wide Additional HMO licensing scheme in Haringey was approved by the Cabinet in February 2019. The scheme will to come into force on 27th May 2019 and requires all HMOs within Haringey, that do not meet the Mandatory licensing criteria, to be licensed. This new Additional licensing scheme will replace the Additional licensing scheme currently running in the Tottenham area of the borough, which is due to end on 19th April 2019. It is the responsibility of the freeholder of the building to apply for an Additional licence for S257 HMOs. For a building to be classified as an HMO it must fulfil the criteria outlined above, and meet the standard conversion test, self-contained flat test or converted building test. For more information on this, the full definition of all types of HMO's can be found in Section 254 to 260 of The Housing Act 2004. It is important to note that there are various statutory exemptions to licensing schemes, please contact HMO Services for further information about the exemptions currently in place. The purpose of the new scheme is to protect the tenant's health, safety and welfare by ensuring that all HMOs within the borough are adequately managed and meet the legal standards of the Private Rental Sector. The London Borough of Haringey have created an "early bird" fee of £500, instead of £1,000, for compliant landlords who submit their application before the scheme commences on 27th May 2019. Haringey council are in the process of developing an online application system however until this is launched all applications must be completed by hand. If you are a landlord of a property in Haringey with 3 or more tenants from more 1 than household you need an Additional HMO licence. 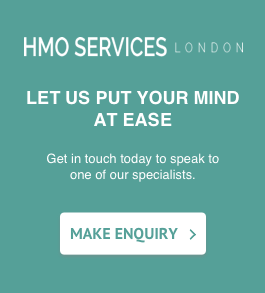 If you are the freeholder of a building that meets the S257 HMO criteria listed above you need an Additional HMO licence. If you apply for your Additional HMO licence before 27th May 2019 you will receive a discounted fee of £500.